Numbers and words. They were partners in crime long before Scrabble hit the market. These two have been used together to impress, scare, and confuse us ever since we decided to count our pebbles and name our children. I'm hearing predictions of home prices dropping 3%, 1%, .1%. Or wait, going up 3%-6%. Why the discrepancy? I can tell you why. It's because we don't know. It's also because using a percentage based on Median Home Sale Price to determine your home's value is illogical. This is my opinion, mind you. The dollar amount where half the homes sold for more and half sold for less is the Median Home Sale Price. This may be useful in determining what price range of homes are selling in your area. For example, if the Median Home Sale price is $120,000 --- this may indicate the market is not there for your $450,000 home. It doesn't mean it is not worth $450,000. It does not mean the value has dropped ---- or increased. I bring this up because the Median Home Sale Price is often used to show people where the market is at. If your local newspaper tells you home sale prices are down 2%, this scares people into thinking the value of their home is 2% less than it was last year or even yesterday. If your local TV station tells you home sale prices are up 3%, someone may automatically think their home is worth 3% more today than it was in the beginning of the year. How do you find out the Market Value of your home? 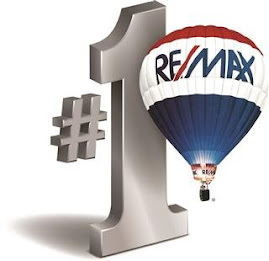 Talk to a Realtor about a Comparative Market Analysis. This is an estimate of a home's value compared with other homes. The thing is, you must have the human element involved. Otherwise you are comparing castles to huts. With that in mind, if the sky is falling ---- it's probably with apples and oranges.